I love photgraphing the details of the wedding. Especially the rings. 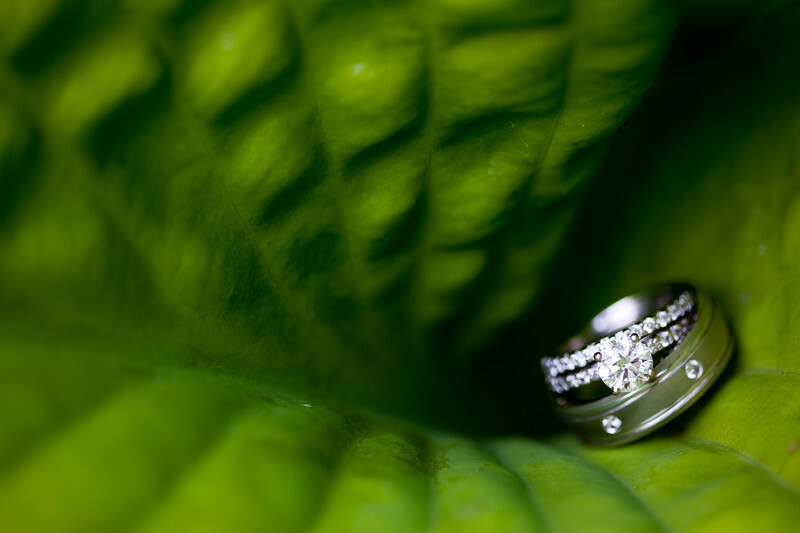 I'll usually borrow the rings from teh bride and groom and take them and photograph them in shomething that has meaning to the wedding couple. For this the wedding was held at the Grooms parents farm house. There were many plants and flowers around the yard but the most striking setting was this hasta. I placed the rings in the center and shot this with my Canon 100mm macro lens. 1/100; f/2.8; ISO 125; 100.0 mm.